Fear. It's a powerful emotion that can protect us from danger, or sometimes just provoke irrational actions. Today, I visited the Manzanar National Historic Site north of Lone Pine (about 4 hours north of Downey), to see an example of what fear can do. After the Japanese bombed Pearl Harbor in 1941, fear swept the nation. 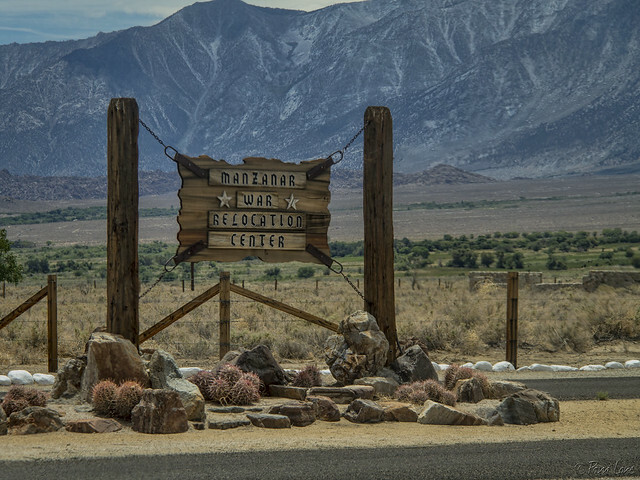 This information from one of the displays at Manzanar describes what happened next: "In 1942, the United States government ordered over 110,000 men, women, and children to leave their homes and detained them in remote, military-style camps. Two-thirds of them were born in America. Not one was convicted of espionage or sabotage. 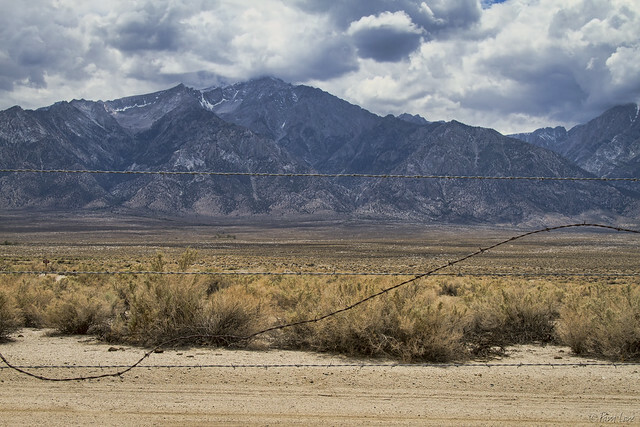 For 10,000 of them, Manzanar would be their new home." It was a home that was suffocatingly hot in the summer, and bone-numbingly cold in the winter. It was a home with an amazing view of the majestic Mt. Whitney, but it was a view from behind the barbed wire that kept them there. I have long wanted to visit this site. I have read books by those who were there. Thanks for sharing this. Barbara, I'm so glad I finally took the time to stop and go through this site. It was well worth the time spent.